Help Wanted! Trees for Tribs May 2nd Tree Planting!! The Emerald Ash Borers are destroying Ash trees that border Oatka Creek. We have a program to replace the dying Ash with 200 native trees and shrubs that will provide shade and erosion control along our blue ribbon trout stream. When: May 2nd 9:00 am – ? This project is sponsored by the Department of Environmental Conservation, Genesee Country Village and Museum, Oatka Creek Watershed Committee. Come join with the Oatka Creek Watershed Committee to “Pick Up the Parks” on Saturday morning, April 25th, from 9am ’till noon. We will again be sponsoring the clean-up in Oatka Creek Park in Scottsville. After the clean up: Noon – 2pm, there will be a Thank You picnic in the Olmsted Lodge at Highland Park! 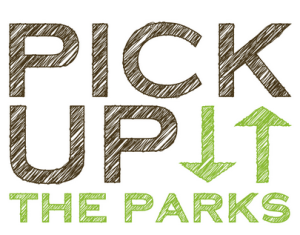 This is the 6th annual “Pick up the Parks” sponsored by Monroe County. For more information and registration forms, visit : Pick up the Parks or contact Maureen at MALeupold@genesee.edu . Hello from Soil & Water, and HAPPY SPRING! We are sending out our Spring Newsletter which is loaded with information on several invasive species, tillage methods, DEC updates, as well as our Fish Order Form (first fish delivery of 2015 will be the end of May). You can still order trees and shrubs, but we are sold out of many varieties so please call first to check. For those of you who have already ordered, the tree pick up dates are Friday May 1, and Saturday May 2nd at the Genesee Co. Fairgrounds. Our CONGRATULATIONS to POST DAIRY FARM for being selected as Genesee County’s CONSERVATION FARM OF THE YEAR! You can read about their family dairy and farming operation on the front page of the newsletter…ENJOY! From Saturday’s 10th Annual Cool Kids ECO-Fest the following items were collected for reuse or recycling! Thanks to everyone who participated! !